This is a recipe for lemony potato soup with Mayocoba beans and vegetables. A thick, hearty, delicious and healthy bowl of soup, and a recipe large enough to feed a hungry crowd. Perfect for a cozy Winter Sunday family dinner. So many dried beans, so little time. On our yearly trip to Brighton in September, I stocked up on freshly harvested Colorado beans. My pantry is chock full of little bags of beautifully colored legumes just dying to be part of our next bowl of soup. Brighton is about a 45 minute drive northeast of The Ranch. 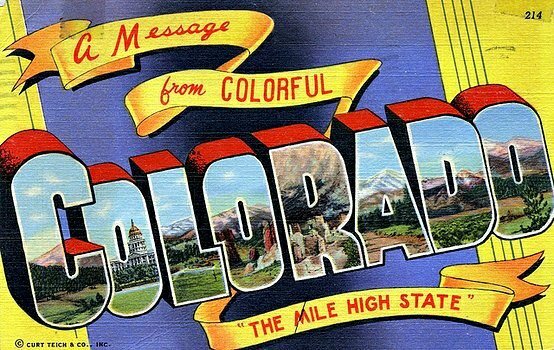 It features many vegetable farms and roadside markets that sell Colorado products from all over the state. It’s such a fun trip in so many ways. Fresh vegetables, fresh dried beans, chile pepper roasting, specialty foods. The best part is that it supports our Colorado farmers. 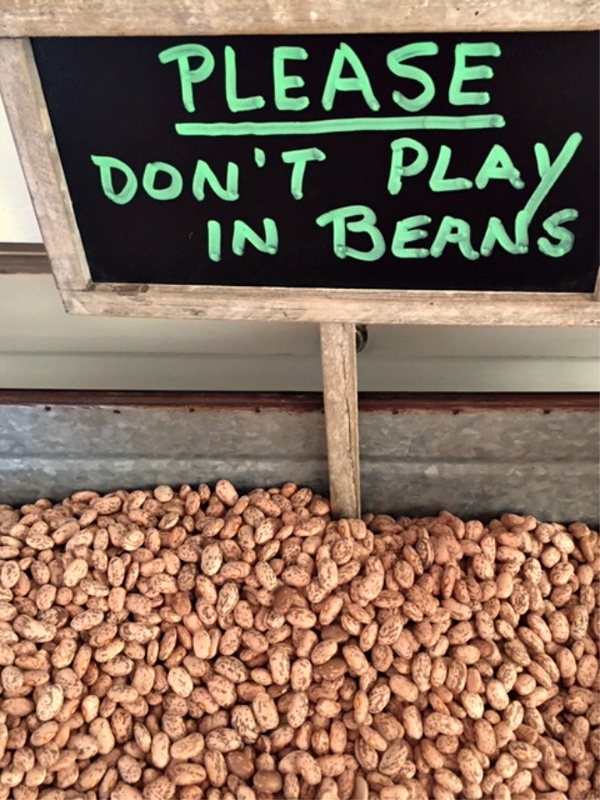 I love this photo from Polambo Farms of Colorado pinto beans with its warning sign. Colorado is nationally a major producer of dry beans. A combination of altitude, bright sunshine, fertile soils and Rocky Mountain water provide the prime mixture of elements for dry beans to flourish in taste and color. Colorado pinto beans are known for their bright color (source Colorado Dry Beans). My go-to market in Brighton is Palombo Farms. It’s a great place to purchase Colorado grown beans along with a barn full of locally harvested Colorado vegetables. What Is A Mayocoba Bean? The Mayocoba bean, sometimes called the Canary Bean or Peruano, has a thin skin, a buttery taste and a creamy texture that performs well on its own or as a component with other ingredients. It will soak up any flavor that you throw at it and still hold its shape. It’s a wonderful addition to mixed vegetable and potato soup because it takes well to a variety of seasonings…particularly herbal. A classic bean, originally from Peru, has now made its home growing in Eastern Colorado. Again, Colorado is a major producer of dry beans in the United States. Mayocoba beans are a great bean to use as a substitute for Cannellini or great Northern beans. It’s a popular bean all over Mexico but especially in the state of Jalisco, where you often see them used to make super creamy refried beans. I’ve also used Mayocoba beans in this Chorizo Albondigas Bean Soup. The Mayocoba lived up to its reputation by enhancing this potato and vegetable soup with it’s beautiful texture and the way it soaks up flavor from the spices. With plenty of healthy vegetables and lemon juice for a fresh flavor, we really enjoyed this soup. 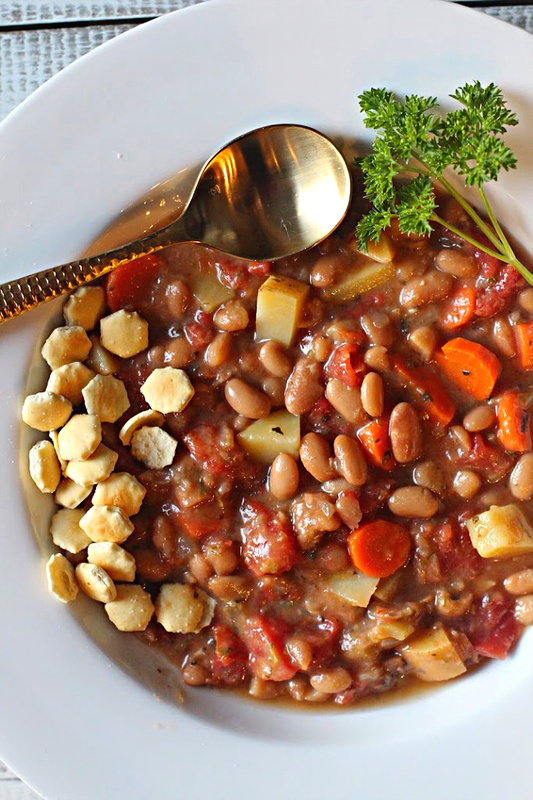 I hope you give this potato soup with Mayocoba Beans a try, and if you do, please come back and give the recipe a rating and leave a comment about your experience. I love hearing from my readers. 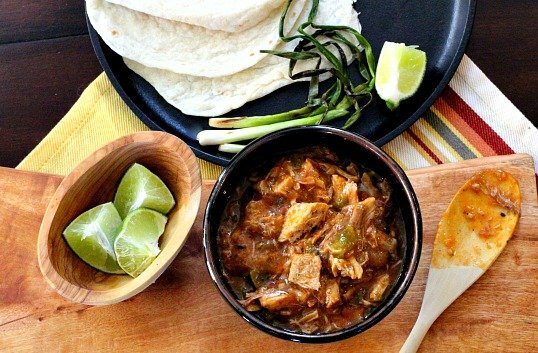 And if you have a favorite recipe using Mayocoba beans, please let me know, I’d love to give it a try. If you can’t find Mayocoba beans at your local market, there’s always Rancho Gordo Brand from Amazon. I’m a member of the Amazon Affiliate Program. If you purchase from this link, I receive a small commission with no extra charge to you. 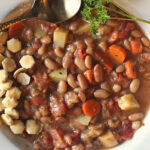 This is a recipe for potato, and vegetable soup with Mayocoba beans. A thick, hearty, delicious and healthy bowl of soup, and a recipe large enough to feed a hungry crowd. Perfect for a cozy Winter Sunday dinner. Spray a large heavy pot with the Pam and in it soak the beans in enough water to cover. Soak beans over night. If you want to use chicken stock to soak beans, then refrigerate. 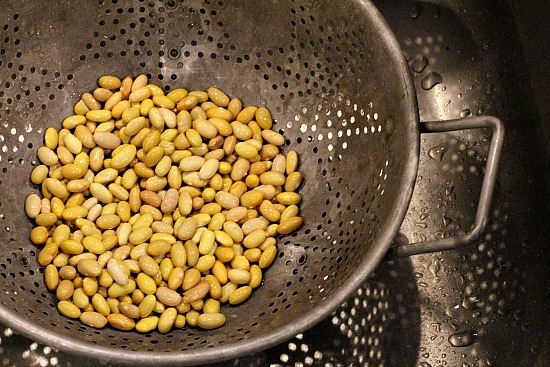 Soaking beans in water can be done on the counter over night. The next day drain beans. Add chicken chicken stock to cover the beans by 1 1/2 inches. Bring to boil, then turn down heat to low. Add one of the onions, the bay leaf, all herbs and chile powder. Gently simmer 1 hour. Add the carrots, potatoes, celery and tomatoes. Let simmer covered until the beans and vegetables are meltingly tender. About 30 minutes. Season with salt and pepper. In a large Pam sprayed skillet, heat the oil over medium heat. Add the remaining onion and saute until softened about 3 minutes. Scrap the onion into a food processor. Add the parsley, garlic and lemon juice. Puree until smooth. Stir the puree into the soup. Taste and adjust seasoning, adding more lemon juice and chile powder if needed. Cook about 5 minutes more. Serve hot garnishing each bowl with parsley, paprika and lemon - all optional. “So many dried beans, so little time.” Truer words were never spoken. 🙂 This is fabulous because I just happen to have a pound of these beans in the pantry. Now I know what to do with them. Your recipe looks perfect. Thanks! I did not know CO was a major dried bean producer, I’ve never heard of this bean, and i would have not thought of using lemon and potato soup in the same sentence. 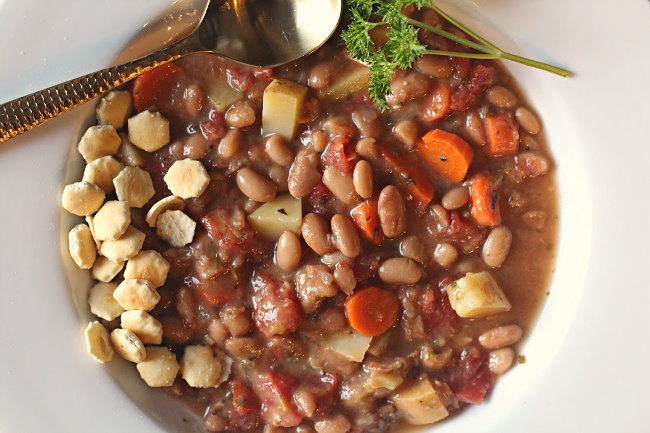 Having said that, I enjoy dried beans and lemon flavor so I would be all over this soup. I really enjoyed learning about the mayocoba bean. And so interesting that I can find these here in CO.